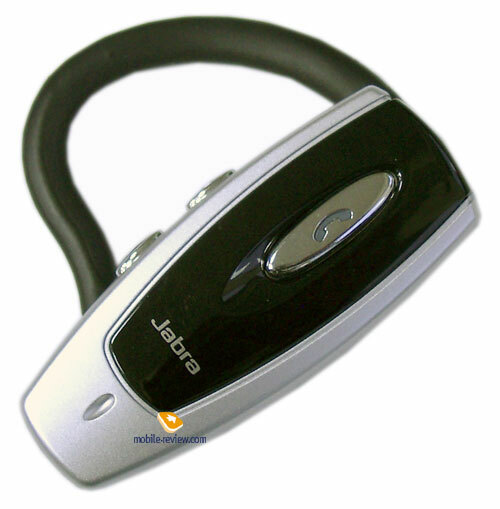 Jabra trade mark is very famous on the Russian market of Bluetooth-headsets for mobile phones. It became so successful due to a combination of modern technological solutions and successful design of products, which is not banal and really draws attention. Having fixed its positions in the top and middle segments, Jabra started offering plainer and more available devices. So, the BT330 belongs to this category. The headset supports Bluetooth 1.2 and offers basic functionality, which includes call reception and cancel, voice volume control and a call signal, voice dialing and control. The BT330's construction can be called standard - the main component holding a microphone, a loudspeaker and control elements is fixed on the right or left ear with the help of a reliable rubberized holder. The BT330's body size is not truly little; however the size is average, suitable for the majority of users. The body material is smooth plastic of black and silvery, a large control button's covering looks a la chrome-platted. This wittingly successful color combination is standard for modern electronics, which allows hiding designers' mistakes much; however, fortunately, the BT330 has no ones. A beaming plastic cover on the front panel is black and the rest body is in silvery. . Typically of a headset, the body is oblong in length to make the microphone as close to your mouth as possible. You will find a loudspeaker gap on a corresponding edge. The opposite end features a charger connector liking like a micro-USB. 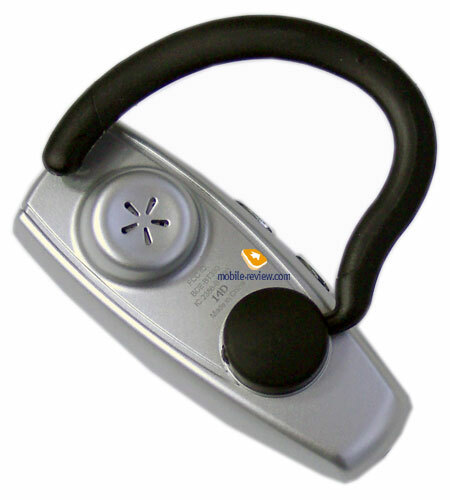 A large oval button, which helps controlling phone calls, and a company logo are placed on the face panel. The back side holds a loudspeaker placed in a plastic "podium" with gaps and a an ear holder. The body is quite qualitative - all the details and made properly and join each other well, the clearances are even and have the minimal width. I'd like to mention the BT330's body doesn't "play" even at a hard pressure. The ear holder is fixed well, however, like all plastic constructions it can go loose at often moves. Control elements are represented with three buttons - a large oval one placed on the front panel and two small ones placed on the side. The large button serves for call accept and cancel, activates voice dial, "couples" with a mobile phone and some other settings. And the two smaller ones are responsible for volume adjust during a call. The dimensions and button relief are well chosen, they are easy to press blindly. You will get used to them in no time and your finger will fall just where you need it. A projecting button surface helps it much. Your pressures are accurately fixed; very rarely pressures do not work or are accidental. The control is well-organized in the BT330, rarely used functions are called by just holding the main button, and in the opposite case they carry out their main functions, you will hardly confuse in them. The handset is equipped with an integrated battery capacious of 7 hours talk time and up to 200 hours of standby time. Unfortunately, we couldn't measure exact values, however, we used the device for several days and our conclusion is the maker's data is quite close to truth. The headset is charged from a network adapter supplied in a package. It is connected to the device though a special connector. The results of our test of Jabra BT330 are quite predictable. It is a cheap headset by a well-recommended manufacturer, behaves stably, works reliably, and however shows no eminent indexes. Coupling with a mobile phone (Nokia 6681 used) works without any complaints, voice tags are recognized quite accurately, automatic call accept, cancel of incoming calls and activation of standby mode work correctly. The headset will be reliably connected to a phone in a distance of 8-9 meters if there are no obstacles. And secure connection though a brick wall will work in a distance of 6-7 meters. At an incoming call the headset plays a call signal set on the phone. User's voice sounds clearly and properly, no strange noises. The loudspeaker sounds a little dull, however hinders in understanding speech in no way. Used every day, the BT330 caused no discomfort and held well. 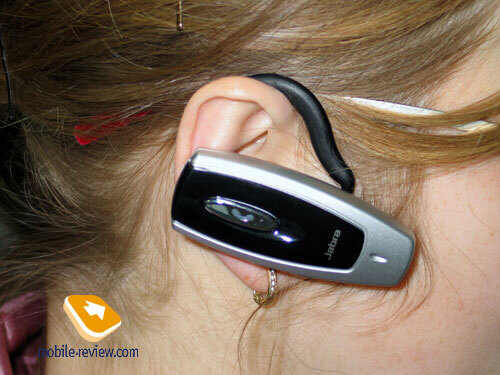 However to fix it reliable on your ear, you need to adjust the ear holder well to fit your preferences and ear shape. 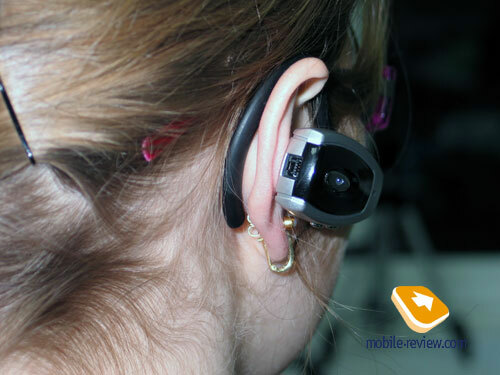 In fact, after testing the headset, we think that is will suit women and men with small ears well - they will find it easier to fix the headset, and it will bring less discomfort at first time. 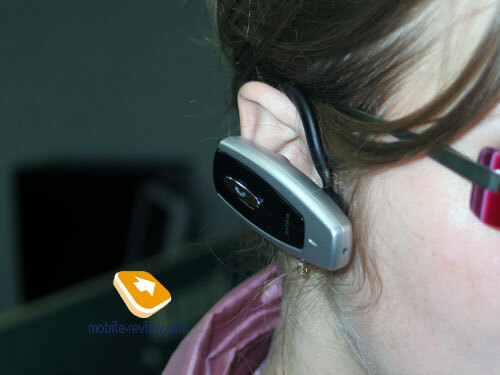 A pleasant impression of the headset was emphasized by its retail price in Moscow, which forms 60 USD. In general, Jabra ВТ330 is a reliable and plain device that will perform its work reliably. 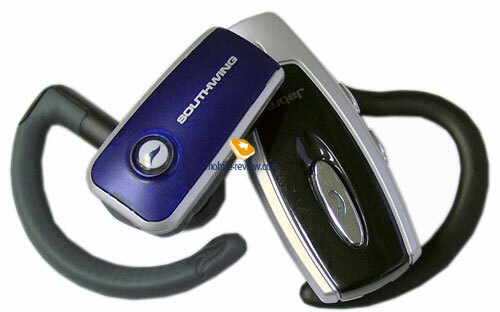 There is not much it has to do, but that is exactly what a Bluetooth-headset should perform - accept and make calls, voice dialing and voice control of the phone, comfort in use and easily adjustment.